You lucky clucker…. 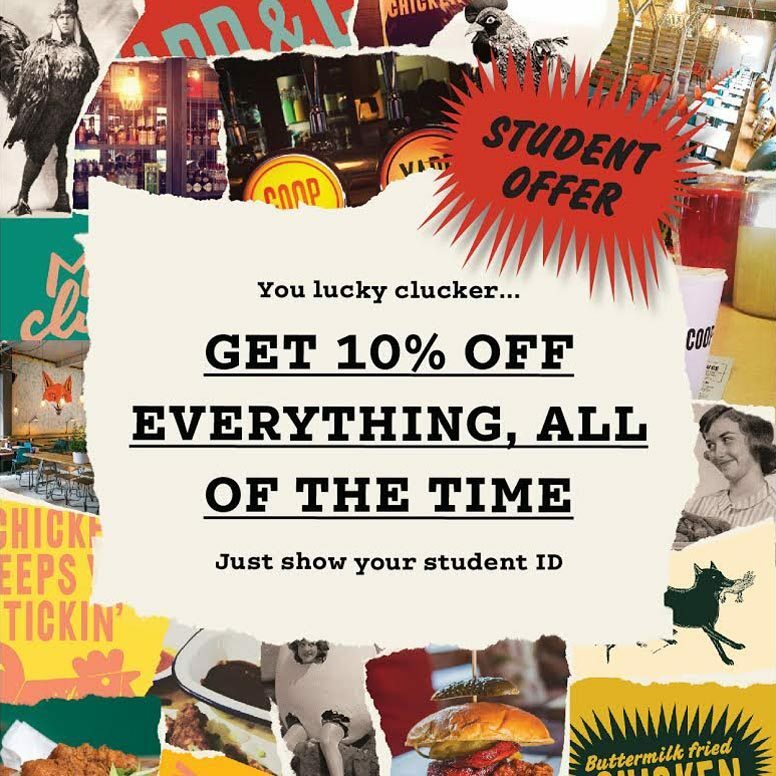 we’re giving students 10% off everything right around the clock. All you have to do is show us your student ID.